This mini course is designed for you to go through step by step. In order to get the most from this training please do not jump ahead without completing the actions in front of you. Once you complete the weekly assignments, then and only then should you progress. If you failed to take action on week # 1 and 2. Please go back now and do not move forward. Above is a screen shot from my personal Shopify store. As you can see I have a bunch of various apps installed. Some of the apps are free and others cost a reoccurring monthly fee. 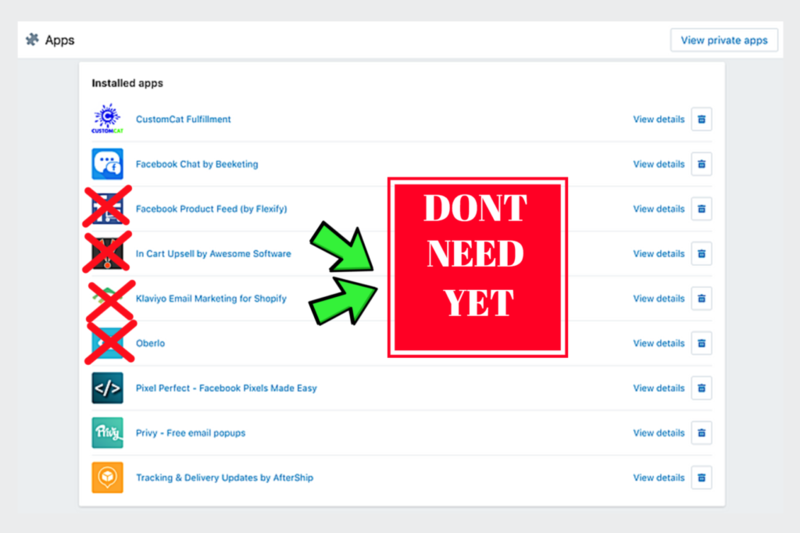 Unfortunately, this is one of the downsides to Shopify and it’s app store. Most of the high quality apps that do a good job – cost money. Feel free to invest in what you’re comfortable with. As of now the only app that is mandatory in order to continue following along is Custom Cat. 1.) CustomCat Fulfillment – this is the app that will manufacture and ship your clothing apparel. This app does cost $30/ month. If you’d like to get around this fee there are other fulfillment manufactures, but I have zero experience with them. CustomCat does an amazing job with the manufacturing and fulfillment process and has a large catalogue of items to choose from to resell. I”d suggest just getting it and trying it out so you can complete this course and give yourself the best chance to succeed. 2.) Facebook Chat By Beeketing – This app is FREE which is awesome and allows your customers and website visitors to easily communicate with you via Facebook. I love this tool and it’s great for customer support. 3.) Pixel Perfect – This app will help you to install the Facebook Pixel on your site the RIGHT WAY. 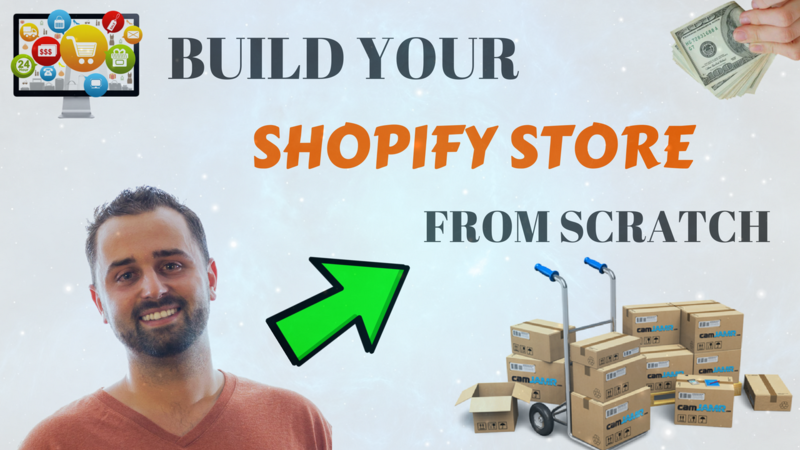 The Facebook pixel is a piece of code that will track conversions on your Shopify store. If you plan to do Facebook marketing then this app is a must. If you want to wait, you can put this app on the back-burner if you are unsure. 4.) Privy – This app will allow you to gather emails on your website. I use it to giveaway a free discount on our store in exchange for an email. If you are going to use this then you will need to also get connected with an email service. I recommend using either Klaviyo or Convertkit. Klaviyo is much better but it’s a lot more expensive. 5.) Convert Kit – ( This is not an app – go through desktop ) This will allow you to collect emails through Privy and additional methods. 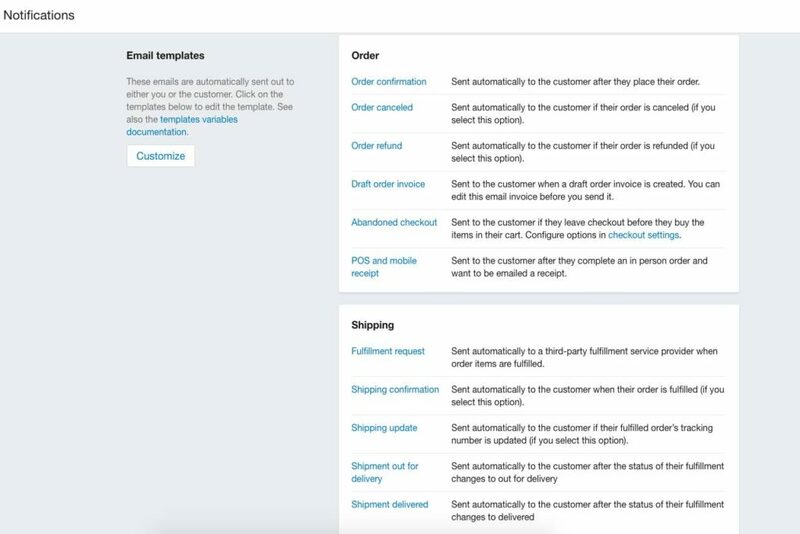 For example when someone purchases an item from your store they will be added to your email list through Convert Kit. As you can see above in the picture I am using Klavio now, but, I do want to say when you’re getting started and aren’t making money I’d recommend Convert Kit. Over at The Green Room and for Raiken Profit we use Convert Kit and love it! Oh ya and I forget one last app. Oops! 6.) 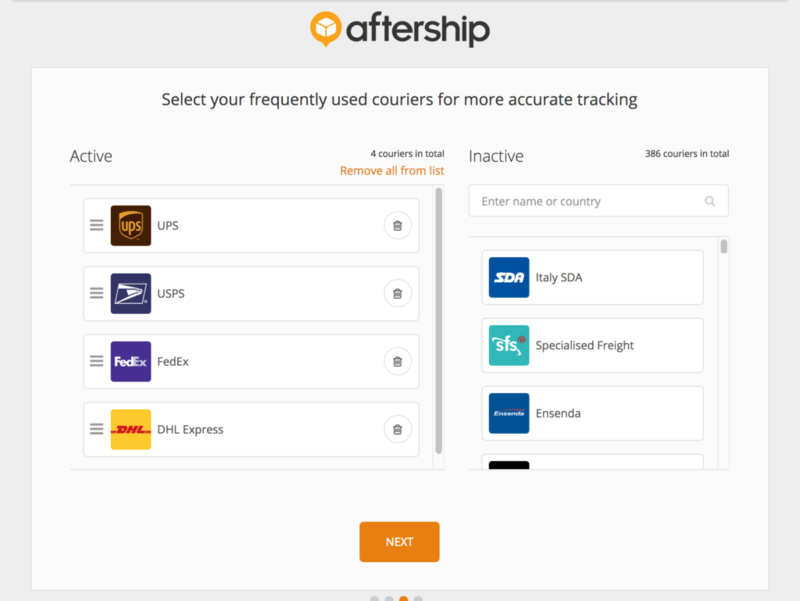 Aftership – This app will automatically communicate with your customers in terms of shipping transit times + will provide them with a tracking # through Facebook. I love this app it’s amazing!! See the screen shot below. Please make sure if you use Custom Cat that UPS is the highest one up on the chain. 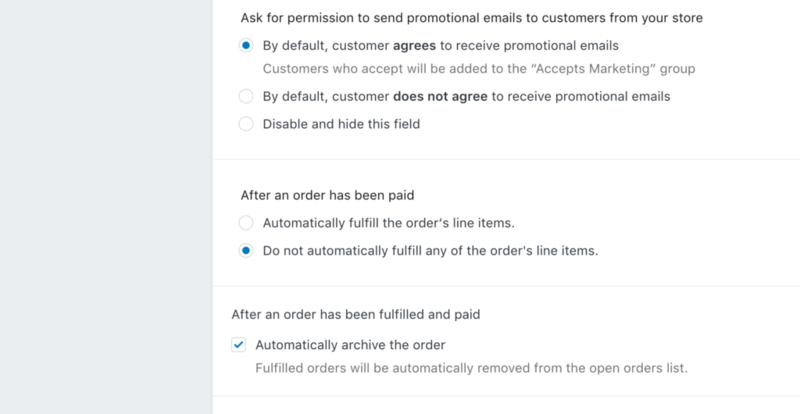 Below I will provide screenshots to the settings I use inside my Shopify stores. Please be sure to go through these settings yourself to make sure they all fit the needs for what you’re trying to accomplish. 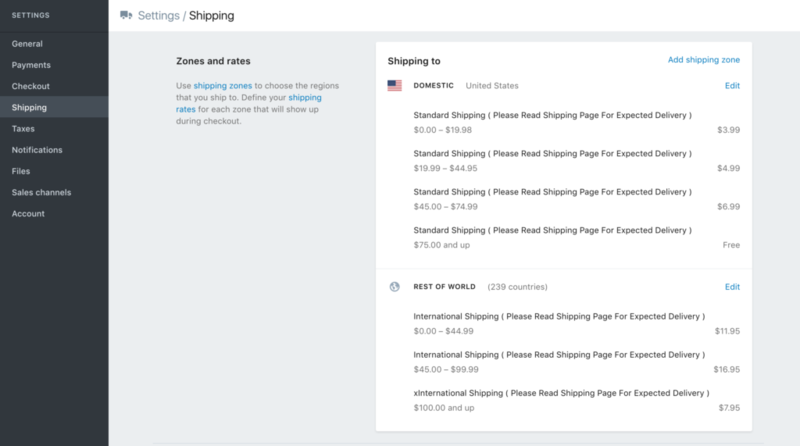 I recommend setting up two payment forms in your Shopify store. 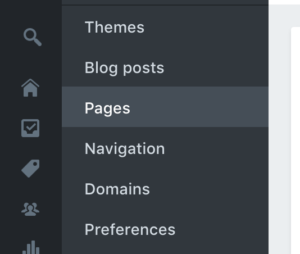 Step 2: Under Link – connect your menu to the correct page. Above the navigation bar you will find pages. You can create new pages to link inside there. 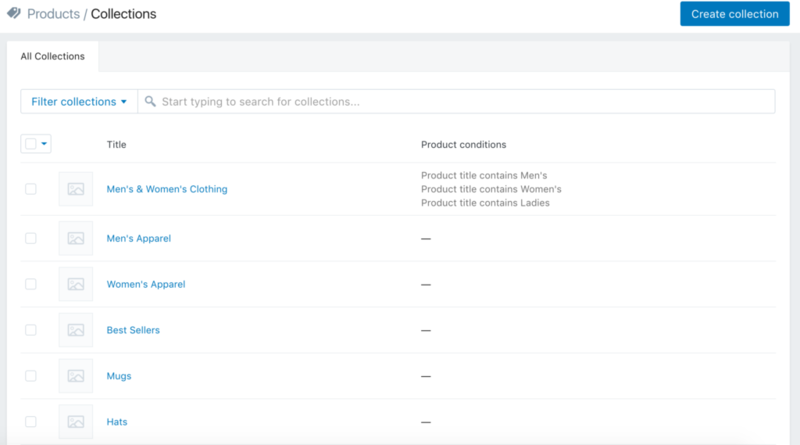 Step 3: In order to connect your menu items ( the product titles ) e.g – clothing, hats, mugs, (whatever it is you decide to choose) to your menu – you will need to create collections of these products under the products tab. Step 5: Link up your store graphics on your front page to the correct collection. 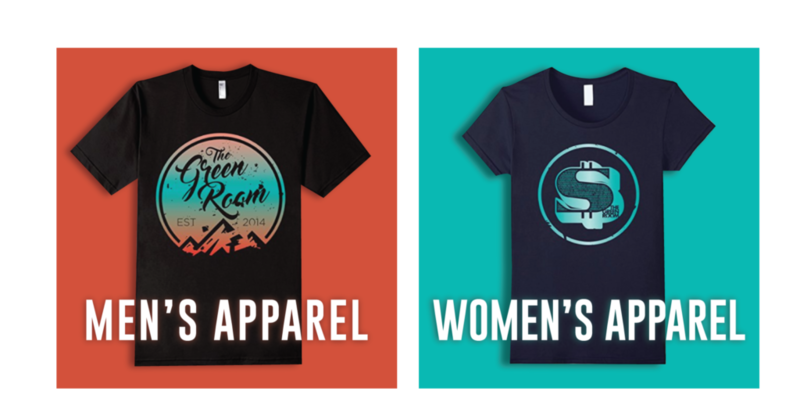 For example on Thegreenroommerch.com website we have two graphics. One for men’s clothing and another for women’s clothing. See the screenshots below to continue following along. I will teach you how to make those two images clickable on your homepage. 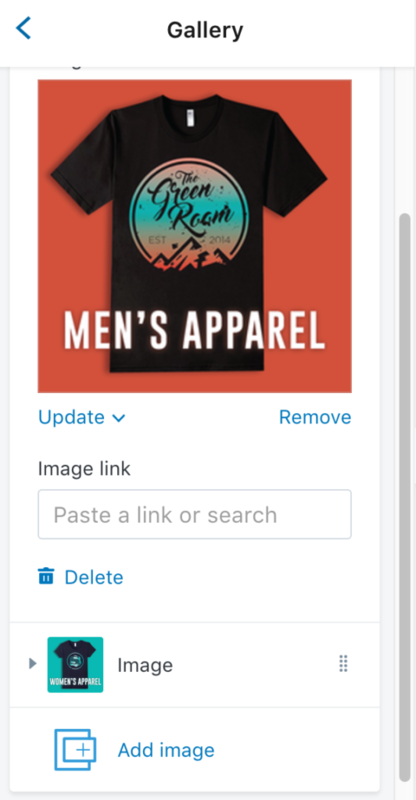 Step 6: Go to online store -> customize theme ( in the top right hand corner ) -> Gallery -> Insert image link under collection -> choose correct collection based on graphic. Next we need to complete our footer section on our website. This is the portion all the way down to the bottom of our site. The screenshot below will show you what it currently looks like before making changes. 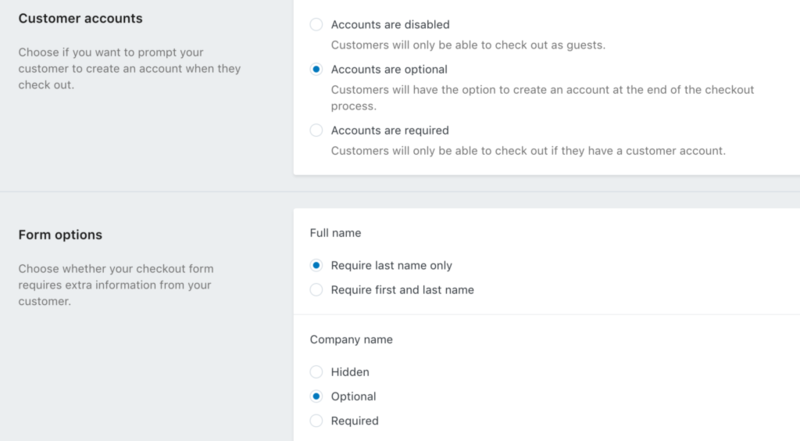 Be sure to follow the same instruction that I laid out for you to build your menu as with the footer. 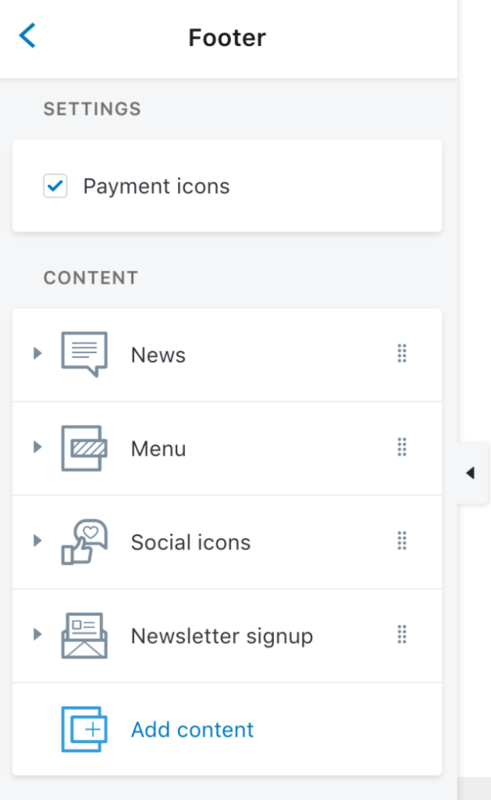 You can find the footer menu right above the main menu. Edit the menu and build from there. You can see a screenshot below of the footer we’ve created. Below are some samples I found on the internet. Feel free to use them or draw up your own. Please do your own due diligence to make sure these fit your needs. We are not responsible nor claiming these will work best for you. As you can now tell we are making HUGE progress and our store is actually starting to look complete. Now all we have to do is get our designs uploaded to our store. And guess what… all that fun stuff will be coming next week. I know I mentioned previously that we would do it this week, but I didn’t want to make week # 3 that long. Again, congrats and let’s keep moving!! As a side note. If you haven’t ordered your designs yet for your Shopify store make sure to do it. You will not be able to follow along anymore until you do this. So be sure to get on it. We are so close, keep moving forward!! !